When you live in a community where violence, abuse and a lack of respect are prevalent, human rights can seem like a foreign concept, especially if you’re a young child. But pupils aged between 4 and 6 at one of the schools we support in Mineros San Juan got to know all about those rights on Monday. Libertad, one of our psychologists, taught the children that they are entitled to an education, an identity, health, food, freedom, equal treatment and their own family. 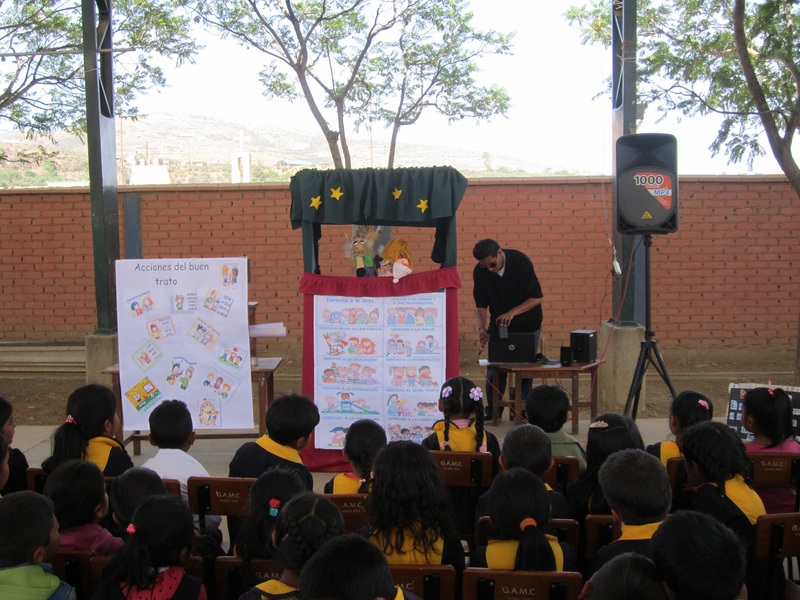 The children also learned about treating their classmates well, showing them kindness and sharing with them thanks to an entertaining puppet show. And that’s an important lesson in a school where many children act aggressively, having seen such behaviour at home or in the television shows they watch while their parents are out working all day. Click here to learn more about our personal development and skills training program. © 2015 Proyecto Horizonte. All Rights Reserved.